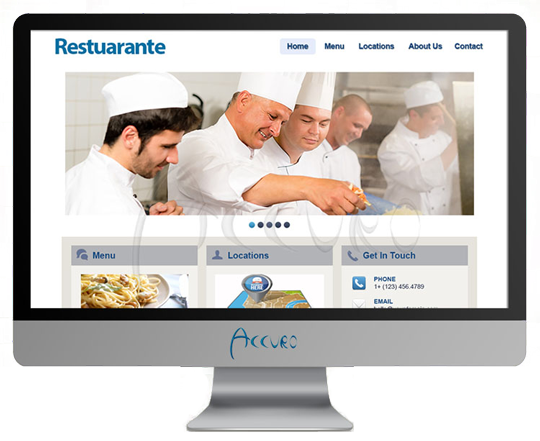 Start Taking Online Orders for Your Restaurant! The majority of your customers are using their mobile phones to order goods and services online. 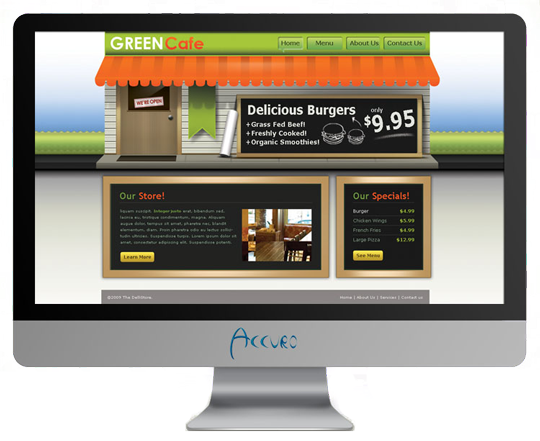 Your site will be optimized for online ordering through any device (smartphone, tablet, or computer). Customers may also download your branded mobile app for faster ordering. Reach more customers with our built-in marketing tools such as email, text campaigns, coupons, and loyalty programs. As part of your online ordering system, these tools make it easy to communicate specials to customers via email and/or text messages. Customers may make payments fast online or during pickup. Securely accept all mayor credit cards using your own processor or one of our recommended gateways. We work with Paypal and other trusted internet payment providers. Print orders in the kitchen and or at the register. You may receive orders through Email, Fax, Text, Printers, and or through select POS systems. Benefit form our Viral Marketing features. 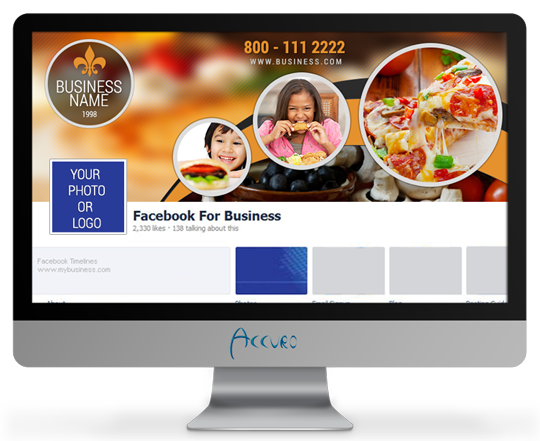 Accept orders from your Facebook page. Allow customers to share their orders and favorite foods with their friends. Our online monitoring team works just as hard as you do to ensure you don't miss an order. Making changes to your menu is as easy as 1,2,3. More and more customers are using smartphones, tablets, and PCs to order from restaurants. 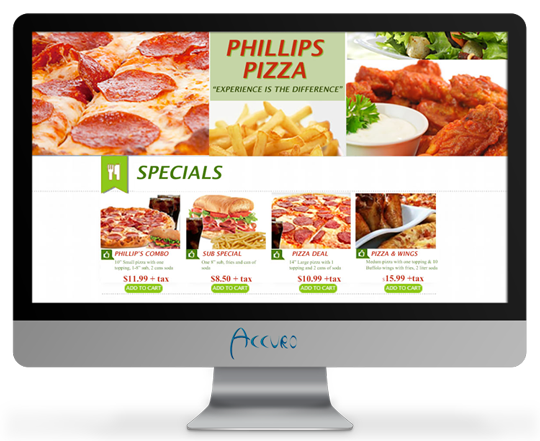 Make it easy for your customers to browse your menu and order their favorite dishes. Get started today! Contact us today! We'll have you up and running in no time. Easy as 1, 2, 3. Pay as you go, cancel anytime. No hidden fees, get up and running quickly! 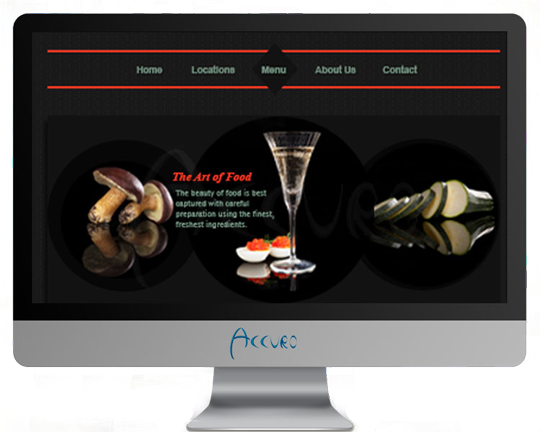 Online Menu Store is dedicated to the success of your restaurant. We are owned and operated by Accuro Technology Group, a technology solutions provider. 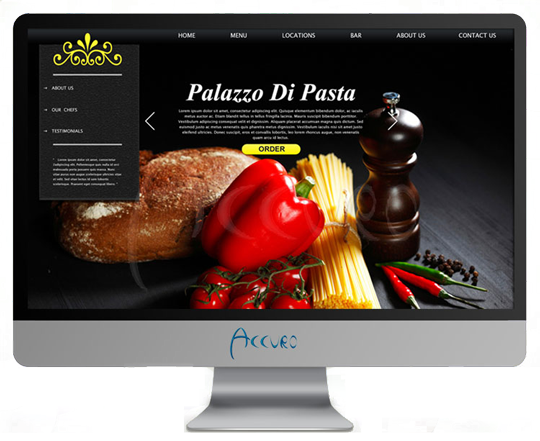 In addition to online ordering for restaurants, we offer DIY websites, premium website design and development, and other professional services.